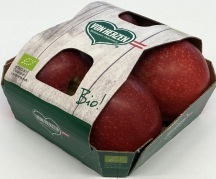 VON HERZEN is the new hallmark for organic fruit. It also stands for an entirely new path for the marketing of organic products mainly from Austria, since the VON HERZEN organic farmers participate directly in the organic marketing community. This is a unique feature and provides the consumer with an opportunity to do more for the development of organic agriculture and our domestic agriculture.